A strange creature with wings resembling those of a bat and which has been dubbed “the Gargoyle” has attacked several animals and even a human, according to reports issued by residents of Guánica. 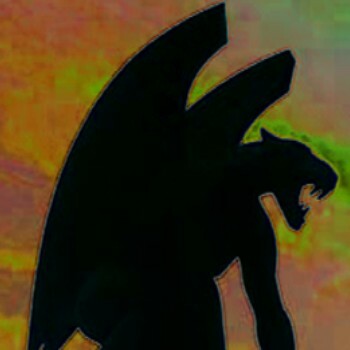 Attacks by the “Gargoyle” resemble those of the mythic Chupacabras to a certain extent, given that it operates under cover of darkness and allegedly exsanguinates its victims. Some people have identified it with the Chupacabras, yet others believe it is a differnt, elusive and sinister entity whose lair is in Barrio Ensenada, amid the ruins and tunnels of the Guanica Sugar Mill, where the skeletons of its victims can be found. The Gargoyle’s exploits have gone on for many years, mostly in Guánica, but in Lajas and San Germán as well. The creature has been seen by people who have opted to avoid making formal complaints to the Police, fearing they’ll be considered mentally disturbed or subjected to scorn. With the exception of one policeman and a schoolteacher who researchers strange phenomena, the other parties involved refused authorization to disclose their names. A gargoyle is a mythic entity, a mixture of human and bird, represented by stone statues. These are placed on the cornises of cathedrals and other buildings. The witness soberly expalined that the wounded man lifted the t-shirt he put on after the attack, saying that a “large winged” animal took him by surprise in his back yard and attacked him. The injured party, surnamed Valdo, also spoke to policemen patrolling the area where the attack took place, near Guánica Lagoon, in the mid-1990s. Police officer Miguel Negrón states that he has not seen what is popularly referred to as the gargoyle, but two months ago, while patrolling the area with another officer near the old Guánica Sugar Mill, he heard the beating of powerful wings, as if something was propelling itself off the zinc roof of one of the mill’s cranes. Agent Negrón indicated that some describe the gargoyle as a very large bird, emitting a sulfuric or rotten odor. It feeds on live animals like dogs, cats and horses, draining their blood and leaving them dry. The creature goes forth at night or in the early morning hours, and for this reason there are few sightings. There are no photos or videos of the phenomenon, which attacks healthy animals, unlike a predator that seeks out sick or feeble animals.